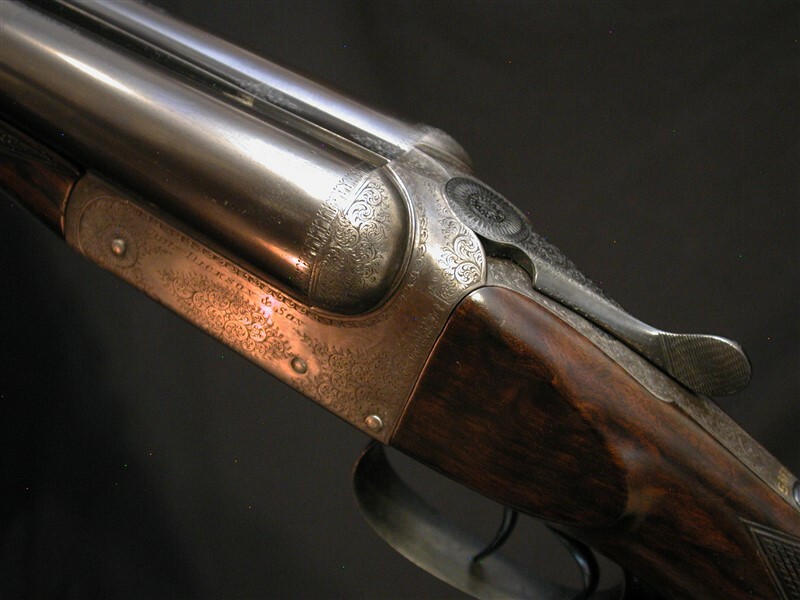 JOHN DICKSON, EDINBURGH, BLE, 2 3/4", Best quality sleeving done by the gunmaker Allan Crewe from Purdey's. 28", choked IC/IMod. 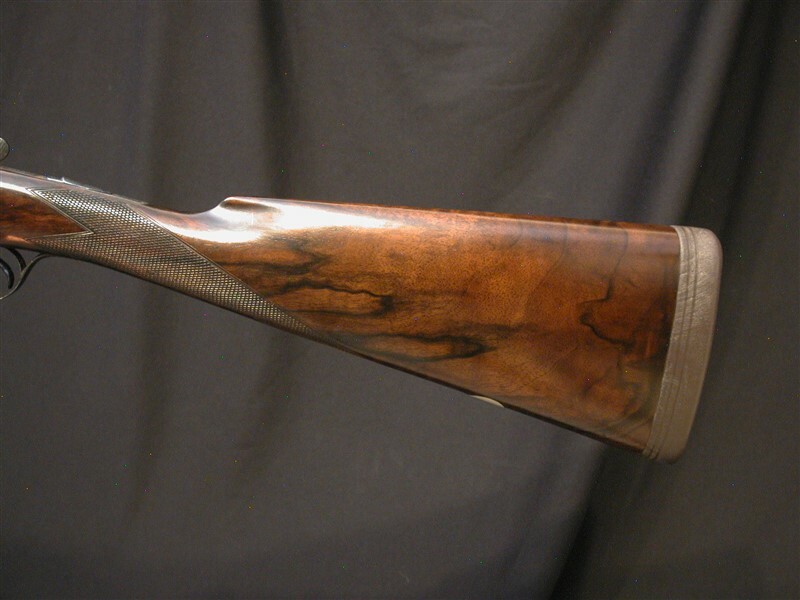 15 1/2" highly figured wood to leather covered pad. 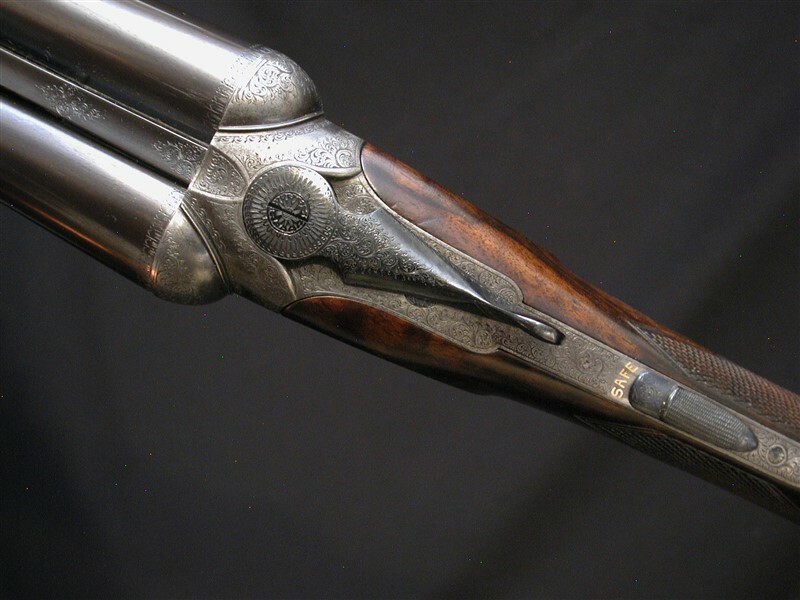 It is worth noting the checkering and finish on the gun are top drawer. 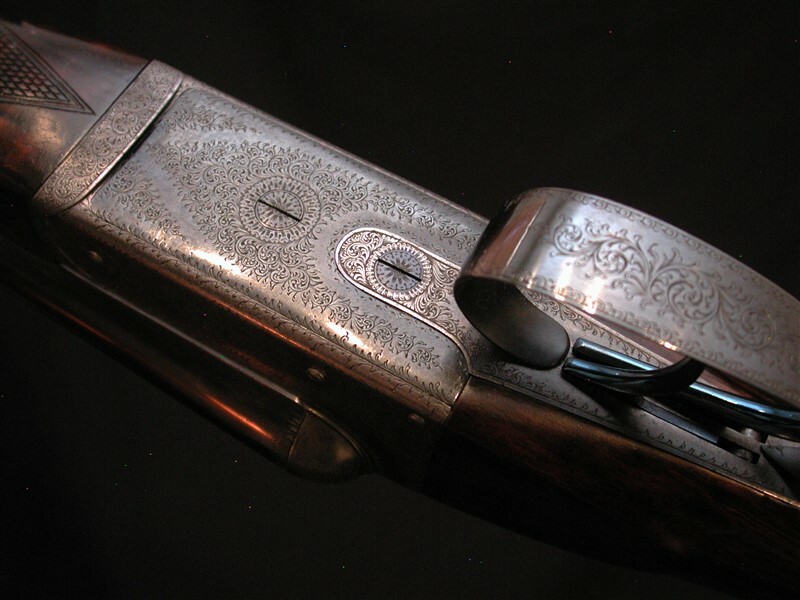 Action retains light to moderate case colors and it is not suprising the gun is accented with beaded fences, fine English scroll and a true hidden third fastener - a quality gun indeed. 6lbs 9oz. Sure to impress in and out of the field. Cased.